The latest crash in crude oil prices have left analysts struggling with varying forecasts. Some believe oil prices are on their way down to the critical level of $35, which would keep the Russian economy in recession. Others, including some Western analysts, however, feel that 2016 may see the first shoots of recovery. The fall in crude oil prices in December has divided officials and analysts into pessimistic soothsayers or optimists, with Russian Finance Minister Anton Siluanov predicting on December 12 that the price of oil in 2016 would fall below the $30 per barrel mark at some stages, reported the TASS news agency. According to Siluanov, demand and the price of oil will continue to decline over the next year and Russia needs to start preparing for the worst. “We need to draw up back-up plans now; on what would happen if the prices will fall further,” said Siluanov, recalling that the 2016 budget is based on a price of $50 per barrel, while the macro-economic situation is currently showing no signs of changing for the better. Price of oil below $40 a barrel is considered risky for the government’s macroeconomic development plan for 2016. In this case, the economy will lose another 2-3 percent, the investment slowdown will continue, and inflation will fall to 7 percent by the end of 2016. Russia is dependent on oil and gas revenues for around 50 percent of its budget and is keen to ensure that, in 2016, the budget deficit should not exceed 3 percent. However, according to a review by Bank of America-Merrill Lynch, if oil prices were to fall to $35 a barrel, then for Russia to fulfil its 2016 budget with a maximum deficit of 3 percent, the dollar would have to cost about 94 rubles (in relation to the ruble-dollar exchange rate in mid-December, this means the ruble would drop by another 34 percent – RIR). Even at $50 per barrel in 2016, the economy will continue to decline by another 0.5-1 percent, according to Central Bank forecasts. In this scenario, the regulator expects the recovery of real income and consumption no earlier than in 2018. The International Monetary Fund and the World Bank have made similar forecasts – a continued economic downturn at the price of $50-53 per barrel. However, the assessment by the Russian Ministry of Economic Development is more optimistic. According to the ministry's head Alexei Ulyukayev, the period of volatility in oil prices is about two-three quarters. “Somewhere in the middle of 2016, a new balance is highly likely to be found, a balance between supply and demand on the oil market,” he said. The Ministry of Economic Development, meanwhile, is still expecting an oil price of $50 a barrel in 2016. Accordingly, the ministry predicts a “recovery” in GDP growth, based on figures for the last quarter of 2015: In September-November, GDP showed a tiny return to growth, rising by 0.1-0.2 percent. 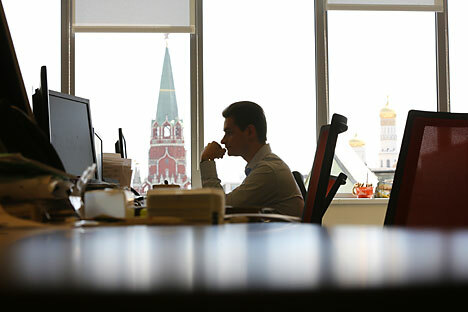 Western analysts also express cautious optimism that Russia may return to growth in 2016. Bloomberg consensus estimates for 2016 are $55.5 per barrel, with only five out of 27 analysts expecting the average annual price below $50. Meanwhile, international rating agencies also do not see the risk of a new collapse of the Russian economy: Fitch and S&P anticipate a GDP growth in the range of 0.5 to 0.3 percent.